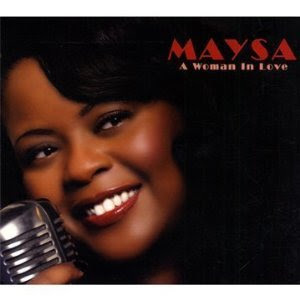 Maysa is at it again, she just released a new album: “Woman In Love”. I featured Maysa before on The Fresh Music Page. She’s one of those rare artists that has the ability t cover a song by a well known artist and make it her own. Whenever I hear Maysa, I think of a song stylist, in the mode of Phylis Hyman. Maysa Leak has a voice that is as gentle as a summer breeze on a warms summer night. Singing soft melodies that touches the spirit. Never vocally show boating, she doesn’t simply sing songs but she creates moments to tell a story. Maysa has the gift that makes Jazz alive and vibrant again. Giving Jazz a new spin but never traveling far from its roots. Check out Maysa for yourself especially if you enjoy the sounds of Sade, Jill Scott, Patti Austin or Diana Krall. Here is Maysa new video for "Spend Some Time" which is a nice dancer cut. Maysa also gives a great take on Michael Jackson's classic "Lady In My Life".